Seattle, Washington April 18, 2018 – Revitalization Partners is pleased to announce that Kern Gillette has joined Revitalization Partners (RP) as a Senior Director. Before joining RP, Gillette was founder and managing member of Gillette Northwest, LLC. In addition to nearly a decade as an advisor to distressed situations he has over 15 years’ experience as a C- Suite executive, in CFO and CEO roles. Prior to Gillette Northwest, Mr. Gillette was Senior Director with Alvarez & Marsal ‘s North American Commercial Restructuring practice. Before A&M, Kern was Principal with Scouler & Company, where he worked with distressed companies, lenders and creditors across the country. Mr. Gillette brings to RP a strong track record of successfully representing constituencies in the restructuring and bankruptcy process, as well as expertise in complex analysis, strategy development and leading entities through difficult transitions. 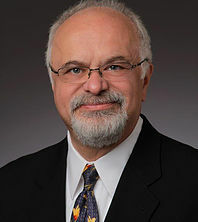 His work has spanned a variety of industries, including: food processing, multi-unit retail including restaurants, technology, manufacturing, franchise, retail and wholesale distribution, seafood catching and processing, lumber and specialty building products, financial and professional services, aerospace, real estate, construction and alternative energy. He has direct experience with a wide variety of capital structures including family owned, private equity, ESOP, public, and cooperative. Mr. Gillette served as Engagement Lead Financial Advisor for Hot Dog on a Stick, a quick service food retailer; Beall Corp., a tank and trailer designer and manufacturer; and Qualteq, Inc., a direct mail marketer. Recently he represented lenders interests in a large vertically integrated seafood company transaction, monitoring operational performance and cash management for many months prior to the sale of the entity. Among his many previous engagements, he was Financial Advisor to Contessa Premium Foods, Inc., a frozen foods packaging and distribution company, and Universal Building Products, Inc., a manufacturer and supplier of concrete forms and accessories. Mr. Gillette has wide and deep experience as an operator. Positions include President and CEO of Cinnabon, Molbak’s and Graces Kitchen. He was CFO of Reese Brothers, Cinnabon, Grace’s Kitchen, and Olympic Boat Centers. As President, Chief Executive Officer and Chief Financial Officer of Cinnabon, Inc., the national food retailer and franchisor, Mr. Gillette designed and executed a successful turnaround. As Chief Executive Officer of Molbak’s, a regional specialty retailer, he executed a successful creditor composition plan and led the company through reorganization. As Chief Financial Officer of Olympic Boat Centers, he guided the company through the bankruptcy process. Revitalization Partners specializes in improving the operational and financial results of companies and providing hands-on expertise in virtually every circumstance, with a focus on small and mid-market organizations.